Introducing a revolutionary breakthrough in skin care technology. A lightweight organic cream that heals at the cellular level by drawing out impurities that can create aches and pains, inflamed and unhealthy tissues. 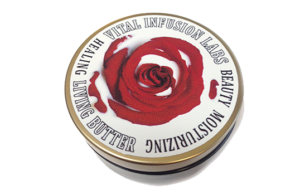 Living Butter is an advanced unadulterated cream that when applied to the skin it creates a harmonious balancing effect throughout your entire system. Living Butter is made with organic ingredients derived from exotic fruits, flowers, essential oils and herbs that are intended to soothe, nourish, heal, rejuvenate and protect the tissues of the face, body, and extremities. Coconut & Pomegranate oil mixed with aloe vera gel, homeopathic remedies, herbs and antioxidants create a natural healing effect on damaged and aging tissues. This exquisite healing butter includes organic natural preservatives that enhance the quality of the healing properties without the harmful chemicals. Directions: Apply Living Butter to specified area and rub in. Use as needed. If using for the face, neck and chest (test area on face before use; such as, the check or forehead). 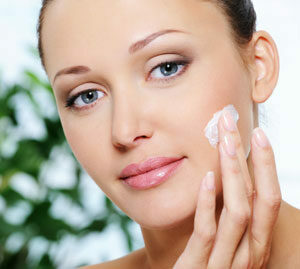 Wash your face, neck and chest and apply as morning and evening moisturizer. Does not contain sunscreen, so apply over butter. When applied you can feel the healing properties of the butter drawn into the skin leaving a silky smooth feel without leaving a sticky or oily residue. A little goes along way. You can actually feel the skin celebrate the return of vibrancy and elasticity. Living Butter is ideal for aches, pains, or sore muscles. Place it on new or healed injuries, scars and stretch marks. Try it on areas with arthritis, nerve damage, and inflammation. Use it on the face, lips, neck and chest. Be creative and experiment. You may be surprised.This is definitely a many use solution. Even though results can vary from person to person, we invite you to experience a truly unique healing and beauty experience. Vital Infusion Labs has been in operation for 20+ years. In that time, we have focused our time and energies on making people as healthy as possible using formulas designed by Nature.